Very few journalists stood by peoples'rights and dared to expose atrocities committed by corporates and government. One such fine committed journalist was Darryl D'Monte who inspired younger generation. He passed away on March 16 in a Mumbai hospital. A prominent advocate of the Advanced Locality Management (ALM) movement, which involved citizens in care of their neighborhoods, he was the president of Bandra West Residents Association. Also, he was a trustee of the Mumbai Waterfronts Center, a member of the Apna Mumbai Abhiyan, chair of the Celebrate Bandra Trust, and a former convener of the Bandra festival. He also devoted himself to environmental issue networking environmental journalists in India and the world. 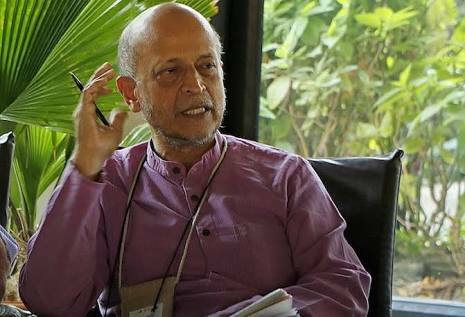 He was chair of the Forum of Environmental Journalists in India and founder- president of the International Federation of Environmental Journalists. He was editor of the "Times of India's" Sunday Review and Mumbai resident editor for the "Indian Express" and the "Times of India". After his retirement, he continued writing in many publications, including "The Hindu". His works include 'Ripping the Fabric' ,'The Decline of Mumbai and its Mills' and 'Temples or Tombs? Industry Versus Environment'. His pioneering work as environmental journalist is valuable and relevant even today. "Darryl was one of my gurus in journalism. But he was no intimidating figure. Warm and welcoming, he never let you feel that you were not an equal. To a rookie, that meant the world", remarked Jyoti Punwahi, a well-known political commentator on political affairs. He was an editor with space for issues which others avoided. "Although Darryl worked for much of his life in mainstream media, he never gave up his convictions on environment, human rights, civic and urban issues,and the rights of the most marginalised", wrote Kalpana Sharma in "Indian Express". He consciously mentored others. In the world of cut- throat competition, this stood then, and stands even now, as an unusual trait. When the Dalit Panthers Movement erupted in Mumbai, he brought out special edition on the movement's literature and Dalit struggles in his Sunday Review section of "The Times of India". He travelled to remote parts of Jharkhand to meet tribal leader Shibu Soren and Marxist trade union leader AK Roy. He slept with Adivasis and learned about their struggles and wrote about tribal rights and oppression by the mining mafia. His balanced writings on riots of 1992-93 in the "Times of India" made Shiv Sena call it 'Times of Pakistan.' His thoughts on silent valley and dangers of environmental destruction are an indication of his concern towards nature. Paying his condolences over his demise on March 16, former union minister Jairam Ramesh, who knew him well, said, "He was among India's earliest environmental journalists and became one of the most eminent of them. He and I disagreed at times but retained great fondness to each other". His works had some influence on government policies. D' Monte will be remembered as a courageous journalist who was committed towards sustained ecological growth.